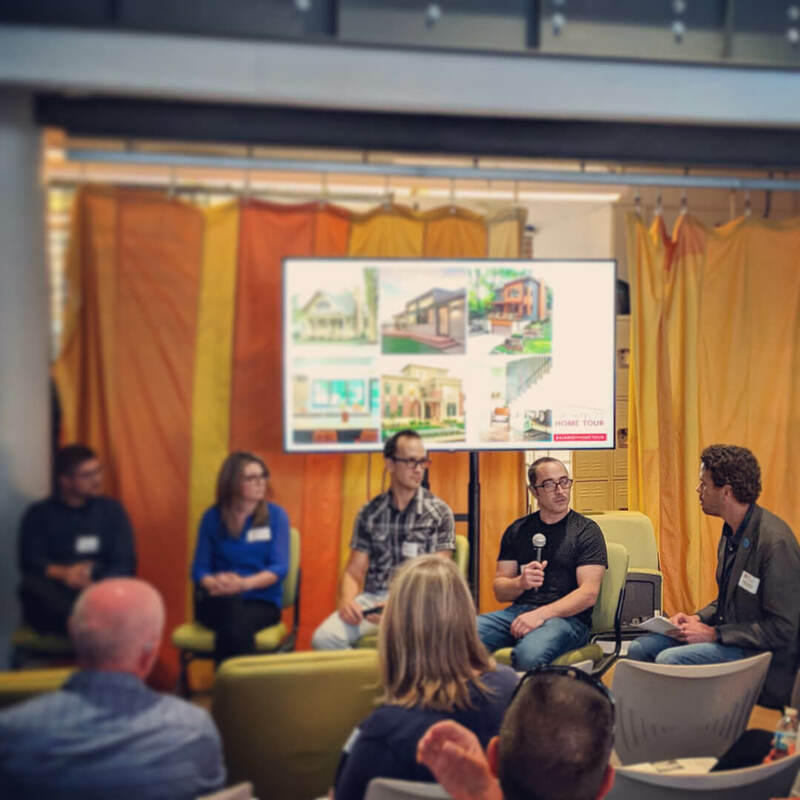 Derek Mills shares his experiences in designing residential architecture + interiors at the September AIA-American Institute of Architects public forum hosted by The Platform at the City Market, downtown Indianapolis. Thanks everyone, for a great turnout! “Humbly and proudly I profess my competence under the discipline of architecture. Upon my honor I promise unending devotion to the task of continually studying, learning, seeking, experimenting, that I may become ever better educated and trained for my work. Upon my honor I promise to my community undeviating adherence to the ideal service to my fellow men, as the goal of my effort, that I may honestly and fully earn my living – my right to live among them. Upon my honor I promise to maintain that integrity in practice which will insure to each client the finest possible stewardship of his interest. Upon my honor I promise in the execution of every commission to strive to create beauty as well as order, character as well as safety, spiritual value as well as convenience. 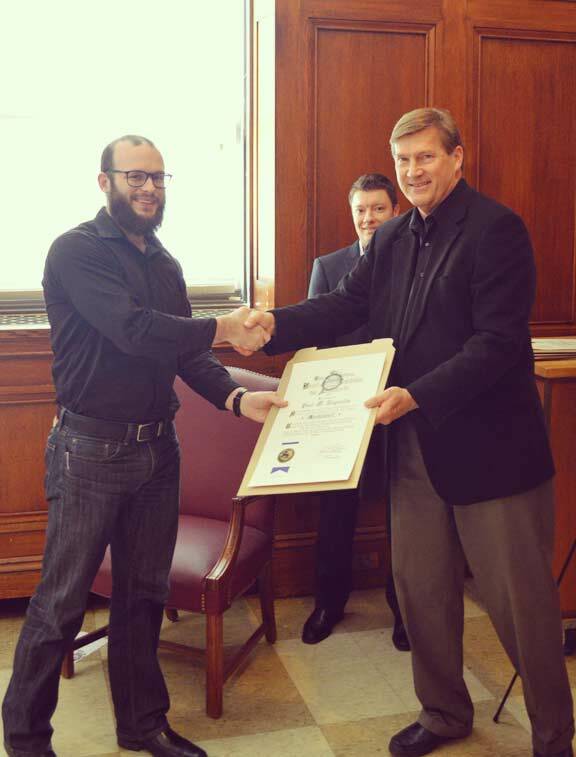 On April 23, 2016, our team member Paul was recognized in a formal architect’s licensing ceremony by the State of Indiana and the Indiana chapter of the American Institute of Architects. The Architect’s Licensing Ceremony used to be a sort of right of passage until roughly a decade ago when the State ceased holding the ceremony. Historically, those honored in the ceremony were individuals who had become licensed in the previous year. 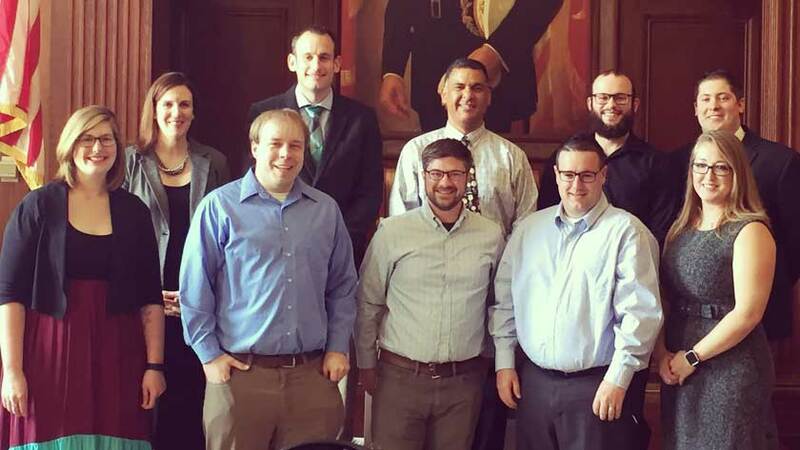 In 2016, in conjunction with AIA Indiana, the State decided to resume the architect’s licensing ceremony! As part of the ceremony, the newest licensees were given words of wisdom by a fellow architect as she told stories of blazing a trail as a young architect. Following the words of wisdom, each licensee was individually recognized and presented with a signed and sealed license certificate. To conclude the ceremony the licensees recited the architect’s oath (above) as the many had done previously. We would like to extend our warmest congratulations to all of those architects licensed in the past year. Having gone through the journey, we know the arduous adventure becomes more of an exciting exploration. We wish you all the best in your careers ahead. 2012 IDADA Turf Submission celebrates the City of Indianapolis through the eyes of the resident creative class.